Clubs, beaches, beautiful people = Caribbean. International finance, political intrigue, competitive racing = capers. The author was there, in 1958, as a timing official and realized this would be a story worth telling so he made a point of gathering right then and there first-hand information from anyone who would talk to him. Good thing he did because Cuba would become, for Americans at least, Terra Incognito. As a competitive road racer himself, Finn knows the cars and drivers and mechanics he writes about. 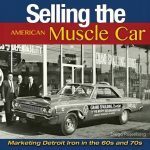 All his racing books are highly regarded and authoritative; this one has the distinction of having won the Nicholas-Joseph Cugnot Award of the Society for Automotive Historians (SAH) for the best book published in the English language during 2010. It has all the usual high production values that are a hallmark of Finn’s recent works, its landscape presentation and heavy paper allowing excellent photographic reproduction and plenty of space for text and captions. 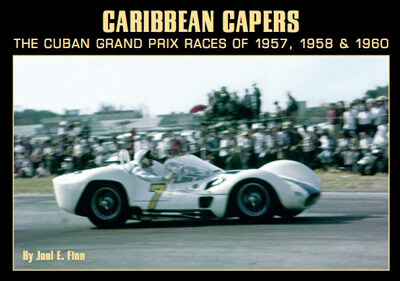 Although the obvious focal point of Caribbean Capers is the major race meetings held in 1957, 1958 and 1960 (why not 1959? Brush up on your world history! ), the book takes until page 86 to get there. 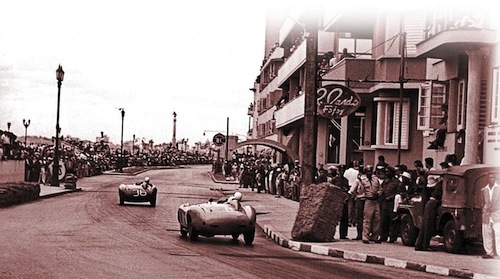 The first two chapters are devoted to a history of Cuban automobile racing and the background to the events leading to the three Cuban Grands Prix covered in the book. 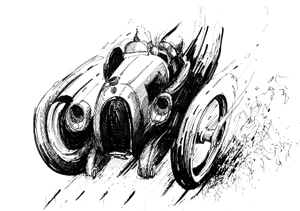 That chapter on the history of Cuban racing is an achievement in and of itself, there being very little in English—or, apparently, for that matter, Spanish—on the topic. 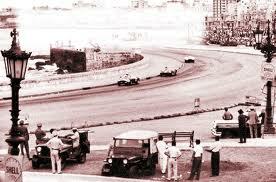 Devoting attention to not only the first international events of 1905 and 1906, which might be familiar to some automotive competition historians, but also to the events at the Parque Oriental and Stadium Tropical. The post-World War II races in Cuba receive coverage as well, the very existence of these events being lost to all but a hardy few over the past decades. That Finn manages to not only provide us with accounts of these events but also many photos demonstrates the level of research and the hard work that was involved in bringing this book to fruition. 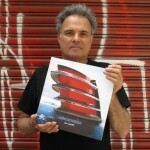 Many of the photos, in fact, appear here for the first time. 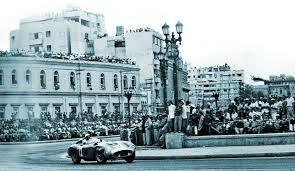 Each of the Gran Premio de Cuba events is covered in almost exhaustive detail. From entry lists to practice sessions to the races themselves, Finn rarely leaves any stone unturned. Each event is profusely illustrated, inviting unhurried study of the photos, occasionally for their composition and occasionally for their contents. 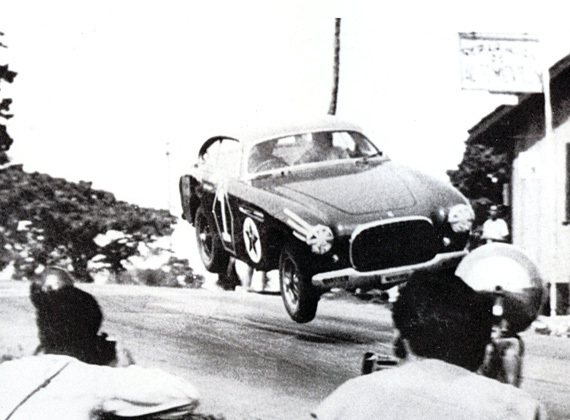 The photo of De Portago swinging his Ferrari Monza through the corner at Parque Maceo in the 1957 Gran Premio (p. 179) could easily signify the coming end of an era in road racing—the Ferrari on a street used every day by motorists with the crowds only a few meters from the car without much in the way of protection, to say nothing of the sheer size of the crowd itself, makes for a stunning photograph. Finn’s coverage of the kidnapping of Juan Manuel Fangio prior to the 1958 Gran Premio is very well done, being placed in the context of the simmering, increasingly violent cauldron that was the Cuban political scene in early 1958. That the race ended after a mere six laps after the Ferrari of Armando Garcia Cifuentes plowed into the crowd of spectators lining the road at the U.S. Embassy turned an already eventful race meeting into a nightmare for the organizers. Six spectators were killed in the immediate crash and over 40 others injured, some seriously, including the driver who was transported back to the pits on the hood of the Ferrari of Jorge Galtes! It took Finn “only” five decades to publish the book whose potential he had seen back then. Good for us that he finally did.